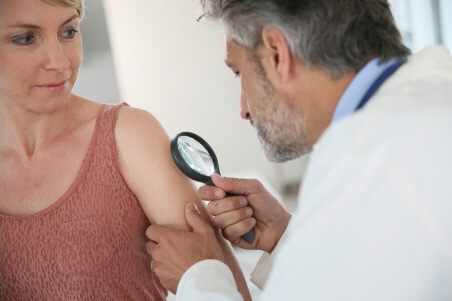 Many GPs are experienced in removing skin lesions, so your own doctor might be able to do the excision. If your doctor is not trained in removing skin lesions, or thinks your lesion is more complicated, they might refer you to either the Grey Base Hospital Minor Surgery Clinic, or a visiting plastic surgeon's outpatient clinic. If the excision confirms a melanoma then you are likely to be referred to a plastic surgeon. They will remove more tissue around the melanoma – this is called a wide local excision. If your melanoma is more complicated, your GP will refer you to either the Grey Base Hospital Minor Surgery Clinic or the visiting plastic surgeon's outpatient clinic to discuss any further treatment you might need. Your procedure or operation will be carried out by a specially trained doctor at the Grey Base Hospital Minor Surgery Clinic or by a visiting plastic surgeon at Grey Base Hospital. If your melanoma is large or spreading across your skin then your surgeon may need to cut out a larger amount of skin. If the remaining skin cannot be pulled together and stitched then you may need a skin graft – taking skin from another part of your body to put over where the melanoma has been removed from. You can read more about skin grafts.